The prize this month goes to the longest book title about Rose gardening that I can find. Remember the old chocolate slogan, ‘Roses grow on you’, well, well grown roses help you enjoy your gardening. The how, when, why and what of Rose care to get good flowers in your garden. A terse and almost too concise book not over endowed with photographs. Those who want guiding through the growing of roses in a simple none threatening manner. 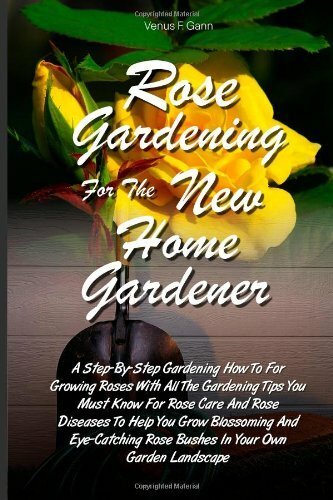 If you need encouraging to give tender loving care to get some great roses this book may be for you. • Grow organic roses with tips. Growing roses requires plenty of preparation before you can start planting. Roses will live for many years or decades if well treated so preparation will be rewarded. Roses need space, if you crowd them in one place they won’t have room to develop and diseases can develop easily. Take the plunge roses are easier to grow than you think!